Hand Made by Artist Vu Quoc Bao. 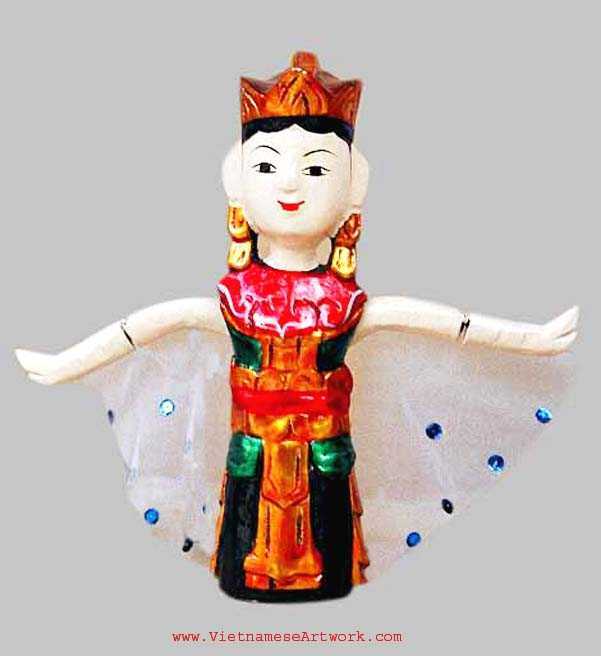 This beautiful puppet is the miniature of the real one. You can perform the dance by a string in her back.